Is your child having tantrums, appear anxious, inattentive or moody? Does your child engage in negative behaviors or have difficulties listening or learning? Is your child having difficulty making or keeping friends? Let the clinicians at Monarch Behavioral Health help your child learn to manage their emotions and engage in positive behaviors. 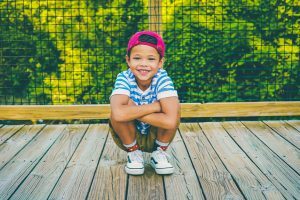 Child development has been well studied, and when emotions, behaviors, or learning struggles get in the way of children’s happiness and success, we have many research-proven strategies and programs to help. At Monarch Behavioral Health your child will learn why they are experiencing these difficult emotions, behaviors, or learning struggles and assemble a toolbox of strategies to help them overcome these challenges. We most frequently utilize Cognitive Behavioral Therapy but can be flexible with our approach to best suit your child’s needs. In many instances, it is most helpful when parents are also involved in the treatment process, acquiring strategies and skills of their own to support their child’s growth and change. We set concrete and measurable goals to attain success and use research-based approaches to help you and your child move toward these goals. Make an appointment with a doctor at Monarch Behavioral Health today to help your child move toward happiness, confidence, and their true potential.